WELLS Professional has announced the takeover of Brisbane-based Metal Detectable Products, a supplier of specialised food safety equipment. The products complement the range of Vikan Hygiene System colour-coded cleaning and food handling tools - important products in reducing the risk of cross contamination in food manufacturing plants. 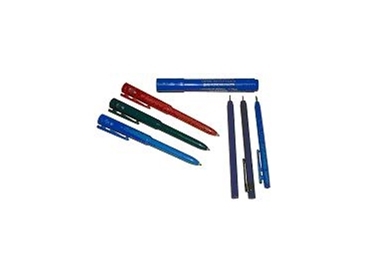 There is a wide range of metal detectable pens available - including stick pens, retractable pens, pressurized pens, and marker pens, for highlighting and white board use. Other products include cable ties, safety knives, and flexible colour-coded scrapers.